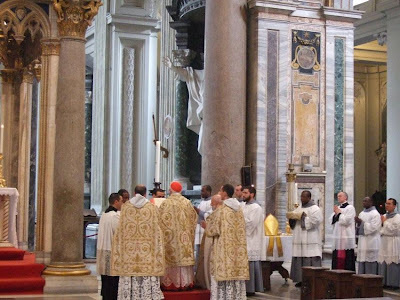 What is Alius Cantus Aptus? 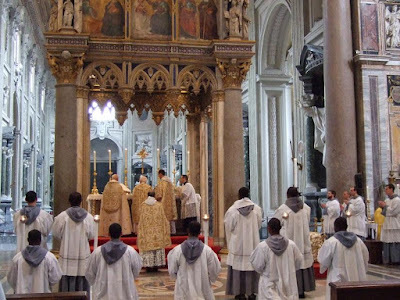 Can Hymns Licitly Replace Propers? 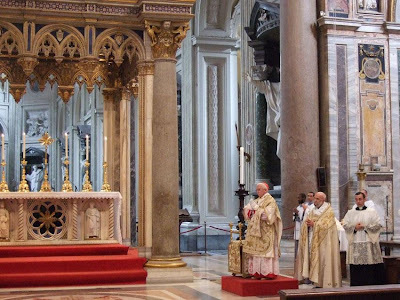 As mentioned several times before since February, Cardinal Antonio Cañizares Llovera, Prefect of the Congregation for Divine Worship and the Discipline of the Sacraments, has celebrated Pontifical Mass according to the usus antiquior this morning in the Lateran Basilica. 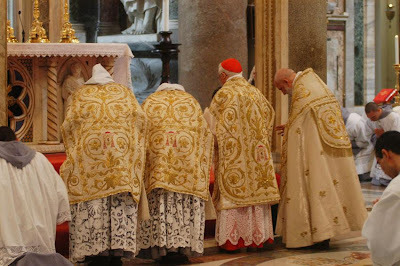 This is the first time since the liturgical reforms of the late 1960s, as far as I am aware, that a sitting Prefect of the Congregation responsible for the liturgy has publicly celebrated Pontifical Mass in the usus antiquior. 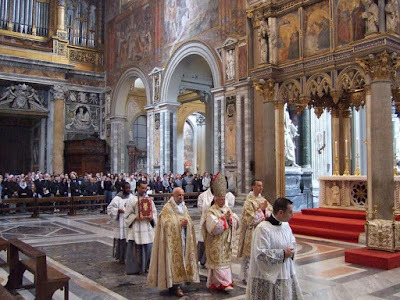 [As pointed out by readers, Cardinal Medina had also celebrated in the older form. This does not, in my opinion, diminish the importance of the occasion, given the conjuncture of circumstances here. 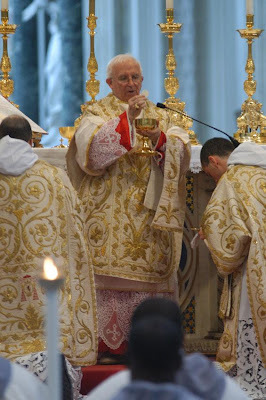 Also, it is the first time since the publication of Summorum Pontificum and the end of the former indult situation.] 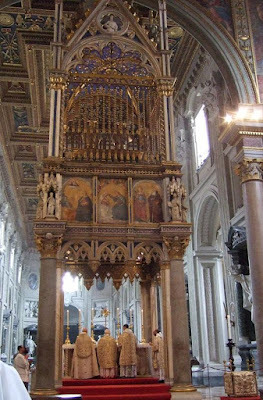 Moreover, he has done so not just anywhere, but in the Lateran Archbasilica of the Most Holy Saviour, St. John the Baptist and St. John the Evangelist, Cathedral of Rome and thus of the Pope, and "mater et caput" of all the churches of the city and the world. 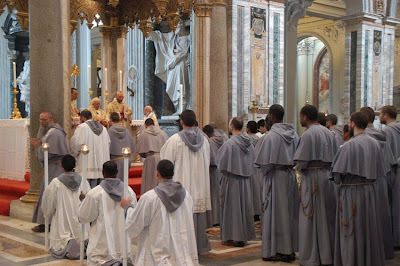 Again, the importance of this occasion cannot be overstated. The FFI are greatly to be commended for having been instrumental in making it happen.